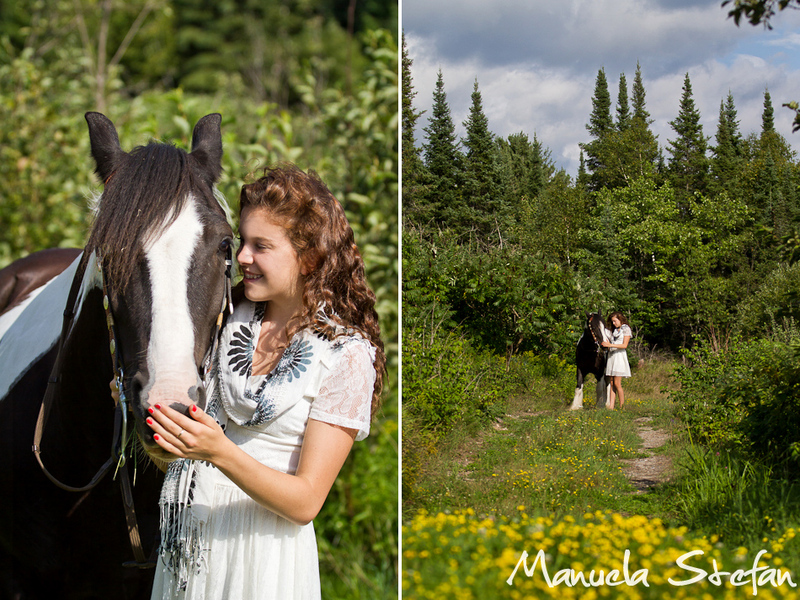 While at the Sunnydale Stables in North Bay, I had the pleasure to spend some fun time with a lovely girl, Brianne, and the Gypsy Vanner horse she rides. His name is Apollo and he has one blue eye. 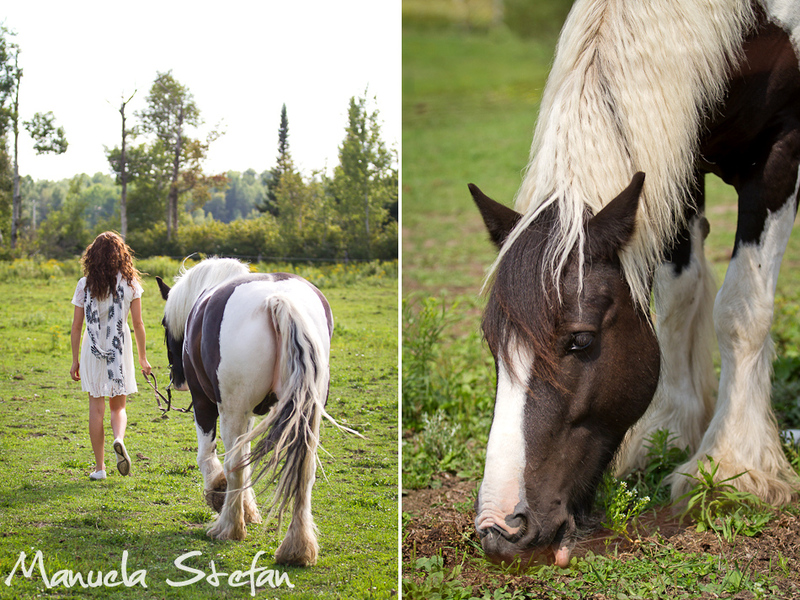 I followed the two around in the pasture and in a little forest. I was really touched by their beautiful connection. The way they were interacting made me think of friendship, mutual understanding and trust. To the point where gentle Apollo allowed Brianna to lie down on his back and be safe there. 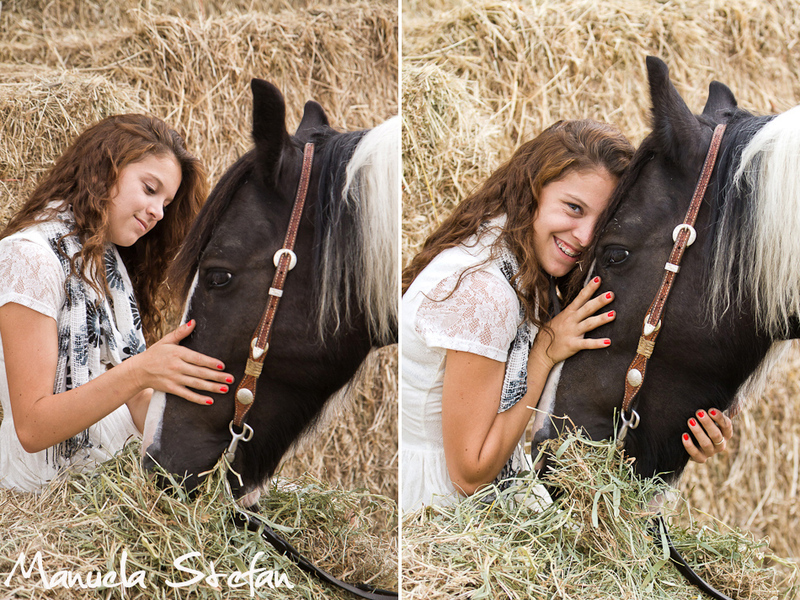 I was simply delighted to capture this episode of horse-human companionship. Very inspiring. Hope to see them again very soon.